Windermere Works offers a great range of accommodation meeting the diverse needs of modern business from Hot Desking, shared Jelly Space to dedicated office space. If you are looking for a place to meet they offer the Meeting Place with break out area. 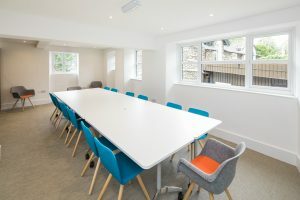 If considering the opportunity that might be provided by moving your home base to a business address why not try Hot Desking, a great place to network with other small but vibrant businesses. If needing dedicated space for a number staff, but not yet ready to take on a lease, have a look at the flexible Jelly Space – a dedicated area within an open office environment offered on easy in/easy out terms. 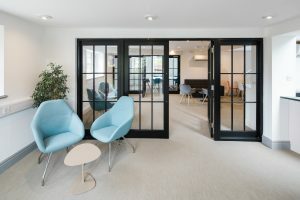 If you would like four walls and a door that locks at night take a look at the various office suites currently available. Individual fully serviced office space for between 1 and 8 staff available now. If a self-contained large studio suite might be more your thing they currently have one of those as well. Finally if you are just looking to do a mornings work whilst visiting the Lake District on holiday or business they can assist with that as well. Find out more by visiting the Windermere Works website by clicking here.